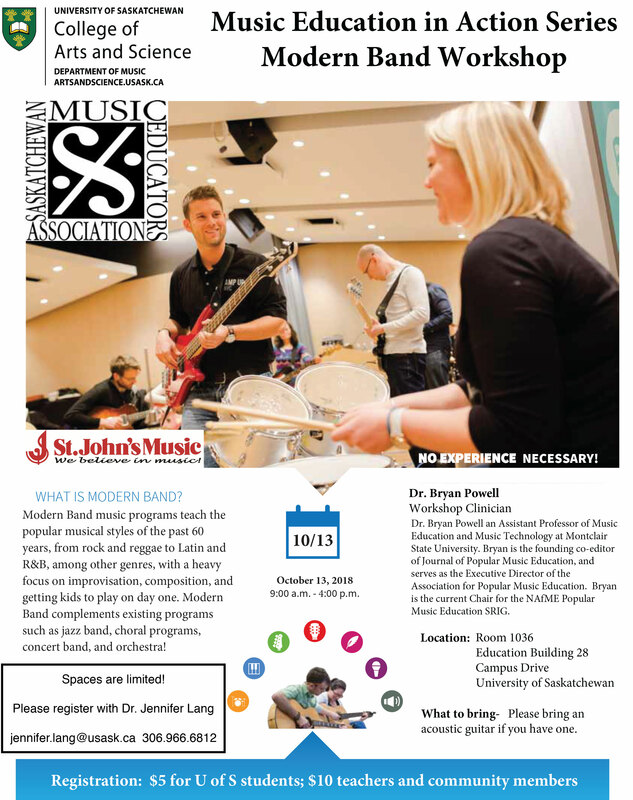 The Music Education in Action Series is an outreach initiative within the Department of Music for Music Education students, educators and musicians to collectively explore various music education contexts. We host one workshop per term and invite students from all over the campus (particularly music and education students), teachers, and community members to experience intersections of music education as they occur in schools, communities, and beyond. Sherryl Sewepagaham (Cree-Dene) is from the Little Red River Cree Nation in northern Alberta. She received her Bachelor of Education (BED) in 2000 and her Bachelor of Music Therapy (BMT) in 2017. She has worked for the Edmonton Public School Board and the Edmonton Catholic School District as an elementary music teacher, teacher consultant, and cultural presenter for 18 years and is a founding member of the 2006 Juno-nominated trio, Asani. Sherryl is currently working as a music therapist at the Royal Alexandra Hospital in Edmonton and provides music therapy to adult patients at their bedside and in group settings in the areas of palliative care, geriatrics, dementias, and addictions. 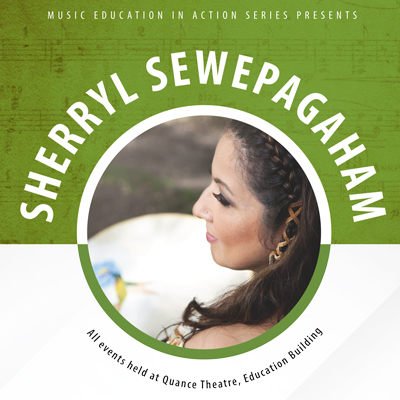 Sherryl still works as a presenter in schools, creates Indigenous teaching resources, and provides professional development workshops to teachers on her “Education Fridays.” Sherryl is also continuously composing new songs for students, film projects, documentaries, choirs, and her own solo performances. Modern Band music programs teach the popular musical styles of the past 60 years, from rock and reggae to Latin and R&B, among other genres, with a heavy focus on improvisation, composition, and getting kids to play on day one. Modern Band complements existing programs such as jazz band, choral programs, concert band, and orchestra.